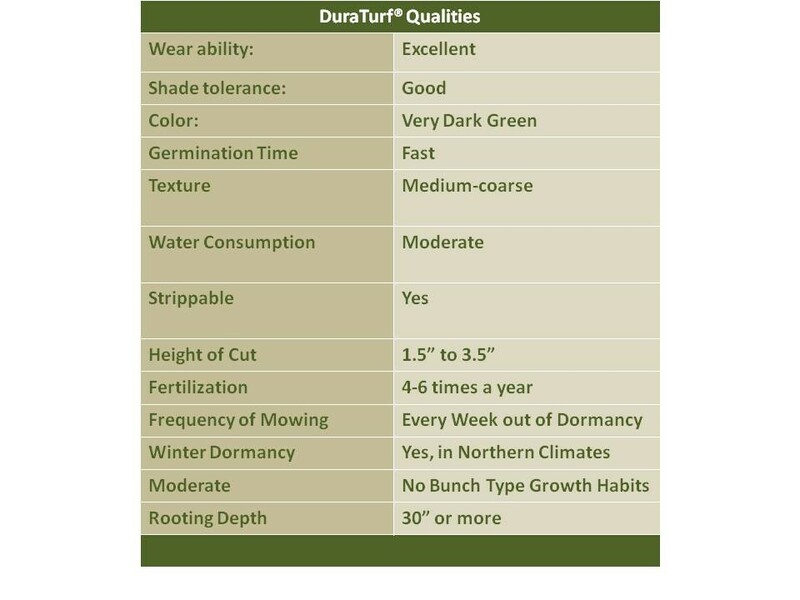 Dura Turf® by Agrono-Tec IS the cool season grass that holds up to the greatest amount of wear! In a recent study conducted by UCR (funded by the NFL), research was conducted to determine which cool season grasses hold up to the greatest amount of wear. An apparatus was created which simulated cleats and was rolled over several different types of turfs. The results were quite astounding, shattering old myths about wear-ability of grasses. The study determined that cool season grasses ranked in this order for wear-ability… ryegrass, tall fescue, and bluegrass. With that information we went to the laboratory and mixed toether the best tall fescues, bluegrass and ryegrasses in a combination that created beauty and function. We named this product DuraTurf®, a name to symbolize the ability to endure! There is nothing that says that the front lawn has to be the same turf as the back yard. You may want to have a turf which is softer and more elegant than the backyard that sees more activity due to dogs and kids. If this is your life then put Duraturf in the backyard. It will withstand the salts from swimming pools and dog urine. Plus shade from obstructions won’t be a problem. Seeding rate is 10-12#/1000 sq ft. If you desire to make this turf a self fertilizing turf use the connonation M for microclover.. for example Duraturf M.
Do you have questions? Contact us below. The logical choice for Seeds!